Tackle the world’s most difficult AI problems with the world’s most powerful AI system. 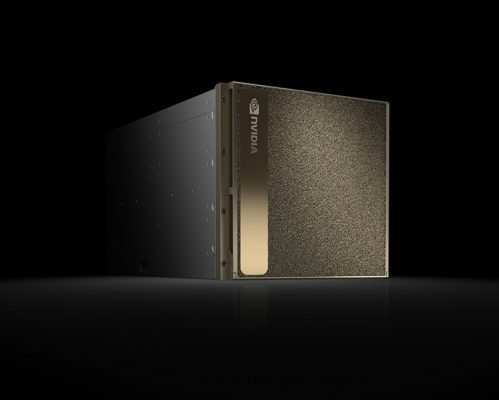 The NVIDIA® DGX-2™ delivers 2 petaFLOPS of deep learning performance in a single system—combining the power of 16 fully interconnected NVIDIA® Tesla® V100 GPUs with the outstanding ease of use of the NVIDIA DGX platform and services. Microway is an NVIDIA Elite Solution Provider and one of only a few NVIDIA DGX Advanced Technical Program Partners authorized to deliver the DGX-2 solution. Trust in our expertise as one of the largest NVIDIA DGX solution providers in North America—and in our DGX services practice. A Microway Solutions Architect will provide remote assistance to you and your facilities staff in planning for the DGX-2’s unique power and cooling requirements. This includes rack diagramming with airflow and power cabling notation, participation in remote conference calls, and answering queries from facilities staff about support requirements of the DGX-2 hardware. Two factory-trained Microway experts will travel to your datacenter and provide white-glove installation of the DGX-2 hardware. All DGX OS and container software will be installed, firmware upgraded to the latest versions, desired DGX-containers installed, and deep learning test jobs run. Customers may supply questions to our onsite experts. Microway also offers optional DGX services including: container and/or job execution script creation, and partner-provided Deep Learning data preparation consultancy. Creating an effective workflow is key to your success with any hardware resource. DGX-2’s unique container architecture means proper container management and even job execution scripts are a necessity. Microway experts will assist you in creating: your default DGX-2 containers, scripts to orchestrate the DGX-2 containers for multiple users in your organization, and methods of dynamically allocating GPUs as required to containers. 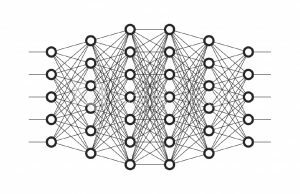 An overwhelming majority of the time in a deep learning project is spent on the preparation of data. At your option, Microway’s data-science consultant partners will engage with you to: to create a custom scope of work, determine the best means to prepare your data for deep learning, create the pre-processing algorithms, assist in the pre-process of the training data, and optionally determine effective means of measurement for the overall DL project. Additional services also available. All NVIDIA DGX-2s are sold and delivered with a Standard DGX Hardware Warranty and 1 year of DGX-Support services. These Support services can be renewed annually after the first year. Continuing to renew your Support services ensures you receive the latest DGX software updates (including frameworks) and retain the DGX-2 solution’s outstanding SLA commitments. NVIDIA DGX support provides you with comprehensive system support and access to NVIDIA’s cloud management portal. The portal facilitates deep learning experimentation via: containerized application management, job execution, status monitoring, software updates, and matching containers in the NVIDIA GPU Cloud. Final pricing depends upon configuration and any applicable discounts, including education or NVIDIA Inception. Request a custom quotation to receive your applicable discounts. NVIDIA requires all DGX purchases to include at minimum 1 year support services. Ensure all quotes you receive include this mandatory DGX support.